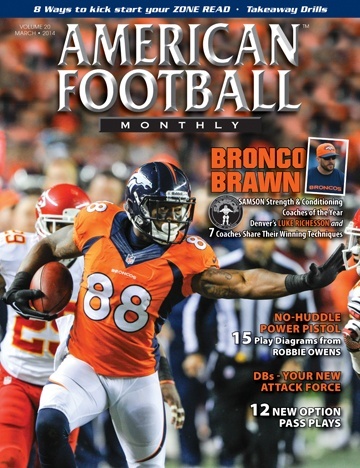 In 2010, I wrote my first article for American Football Monthly. In that article I told the story of how Hall of Fame Coach George Allen returned to coaching at the age of 72 to coach my college football team at Long Beach State University. The experience of writing that article and the positive response that I received from coaches around the country far exceeded any expectations I may have had about the joy of writing and sharing my ideas. What was supposed to be one article has turned into several years of articles. Getting to share my experiences and thoughts regarding this great and crazy profession has been a real joy. Along the way, I have had the opportunity to get to know many of you through your emails, conversations at coaching clinics and other events. One thing that has been evident throughout this experie....The full article can only be seen by subscribers.